Professor of Commercial Law at USP, former President of CADE, former Secretary of Economic Law, and Yale Greenberg World Fellow. Vinicius is the founding partner of VMCA. His practice is mainly focused on competition and regulatory matters. He has substantial experience representing clients before the Brazilian antitrust authority in complex merger and acquisitions, negotiations for settlements and leniency agreements, and also in administrative proceedings, whether they are focused on unilateral or collusive conduct. Vinicius also advises clients in the stablishing, monitoring, and reviewing of compliance programs, due diligences, and business practices in general. His experience also includes representing companies in the interface with Brazilian regulatory agencies and authorities from various sectors. His clients include national and international companies from a wide range of sectors, such as telecommunications, fuel, infrastructure, and technology. Vinicius served in Brazil’s federal government from 2005 to 2016. As President of the Administrative Council for Economic Defense (CADE), he not only took part in decisions and investigations of several cases in a wide variety of economic sectors, but he was also responsible for negotiating the approval of the new antitrust law in the Brazilian Congress and, immediately afterwards, for overseeing its implementation. This involved the drafting of legislation and guidelines, including the new leniency and settlement agreement policy, the standards for filling and analysis of mergers, and the compliance and gun jumping guidelines, among other components. The advances that stemmed from the changes in the Brazilian Antitrust Policy led CADE to be recognized three times as “Agency of the Year – Americas” by the British publication Global Competition Review (GCR), and positioned the authority among the eight top competition defense agencies in the world. 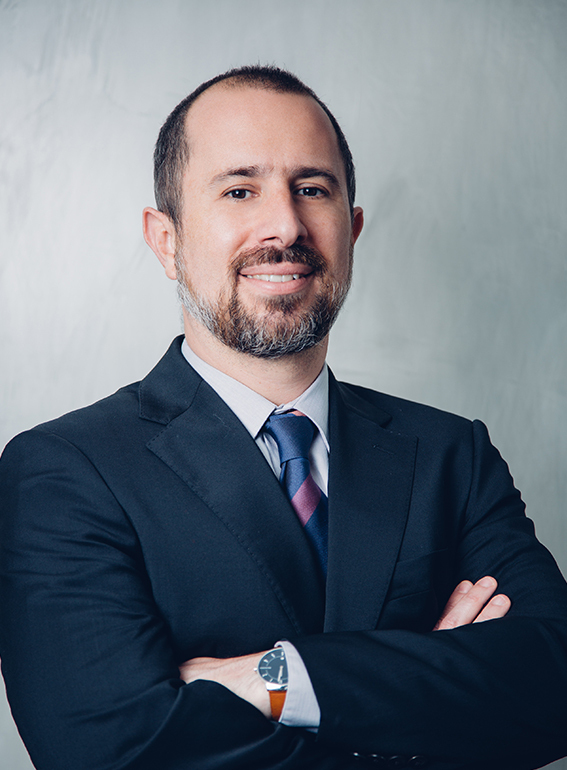 Within the Brazilian Competition Defense System (SBDC, in the Portuguese acronym), Vinicius also served as Secretary of Economic Law and Commissioner at CADE. As Secretary, in addition to his work on antitrust policy, he actively took part in the building of the National Consumer Defense System, oversaw recalls and carried out investigations of consumer law violations. Vinicius also served as Chief of Staff of the Secretariat of Human Rights, where he took part in the drafting of several public policies, including the policy for education in human rights and policies regarding minority rights. During that time, he articulated the human rights agenda within government and civil society (both private companies and NGOs). Previously, Vinicius served as legislative advisor in the Brazilian Senate and in the House of Representatives of the State of São Paulo, where he acquired vast experience in the drafting, analysis, and negotiation of legislative proposals. His accomplishments at the national and international level were recognized in 2013, when Vinicius was chosen as one of the 100 personalities of the year by Época magazine, and was appointed the Vice-Chair of the International Competition Network (ICN), entity that assembles over 130 competition authorities. In all the positions he has occupied, Vinicius has pursued an intense advocacy agenda, regarding both economic regulation and competition, for the introduction of impact assessment methodologies in normative debates. He has participated in several discussions within the government regarding Brazil’s Internet Law (Marco Civil da Internet), anticorruption legislation, especially Brazil’s current Anticorruption Law, and policies on data protection regulation. Vinicius has been a featured speaker at several international events, including the Competition Committee at the OECD, the Intergovernmental Group of Experts on Competition Law and Policy of the UNCTAD, and events of the American Bar Association (ABA), the ICN, Fordham University, Georgetown University and the New York State Bar Association, among others. PhD in Commercial Law from the University of Sao Paulo (USP) and in Public Comparative Law from the University Paris I (Pantheon-Sorbonne). In 2016, he was a Lemann Fellow and a Yale Greenberg World Fellow, a program focused on leadership building at Yale University. He holds a Bachelor of Laws from USP and successfully completed the program for specialists in Public Policies and Governmental Management from the National School of Public Administration (ENAP, in the Portuguese acronym). Vinicius took part in several training courses at the same school, including many on negotiating with the public sector. Professor of Commercial Law at the University of São Paulo (USP). Vinicius was a visiting professor at the University Paris I Pantheon-Sorbonne, and formerly professor at the School of Law of the Getúlio Vargas Foundation (FGV). Former editor in chief of the Journal of Competition Defense. Vinicius also taught in several post-graduate courses organized by FGV, the National Telecommunications Foundation, the Court of Auditors, the School of the Public Attorneys’ Office and the University of Brasília (UnB, in partnership with the National Agency of Electrical Energy, Aneel). He was also a researcher at the Brazilian Center for Analysis and Planning (Cebrap), taking part of the Group on Law and Democracy, in the project on State Reform and Democracy. 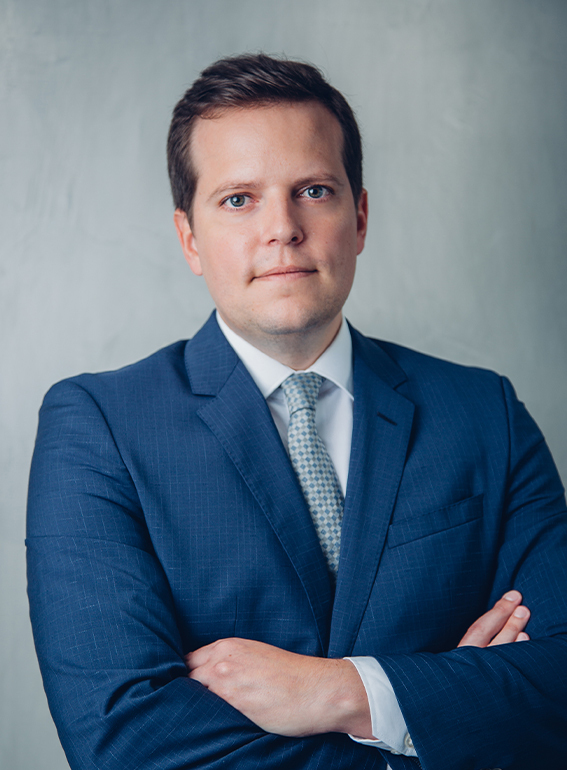 "Former CADE president Vinicius Marques de Carvalho made waves in the Brazilian antitrust bar in 2017 when he opened his own law firm not long after leaving the enforcer." Master of Laws by the University of Brasilia, former General-Superintendent of CADE, Guest Professor at the FGV Law Program and at the George Mason University, and partner at VMCA. Eduardo’s practice focuses on competition and regulatory matters, mostly involving complex mergers and acquisitions transactions, cartel and abuse of dominant position defenses, compliance issues, and also negotiations and advocacy. He assists national and international companies from numerous industries, operating in different markets, such as infrastructure, energy, petrochemical, fuel, mining, construction, telecommunications, healthcare, and loyalty programs. Eduardo served in Brazil’s federal government from 2007 to 2017. As General-Superintendent of the Administrative Council for Economic Defense (CADE), he headed the Brazilian antitrust agency’s merger reviews, as well as its cartel and unilateral conduct investigations. He also served as Deputy-Superintendent at CADE, advisor for Commissioners at CADE’s Tribunal and participated in a secondment at the Canadian Competition Bureau. Eduardo played a leading role in restructuring CADE in 2012 after the new Brazilian Competition Law entered into force. The new policies propelled the Brazilian authority into the elite international antitrust authorities, earning CADE three GCR awards of “Agency of the Year in the Americas”. For a decade, Eduardo had a part in most of the important cases taken on by the antitrust authority, in several different markets, including over 2,000 mergers, and hundreds of investigations, both domestic and international. He also coordinated the negotiation of several merger remedies, more than 100 anticompetitive conduct settlements and nearly 40 leniency agreements. His tenure in the federal government also includes expertise in the civil aviation sector, as Eduardo headed a unit at the Regulatory Policy branch of the Brazilian Civil Aviation Secretariat, which helped design the new civil aviation regulatory policy and participated in the first round of airport concessions in Brazil. Throughout his years as a public official, Eduardo took part in the elaboration and implementation of rules, policies and regulations, and interacted intensely with several sectors of the government and private enterprises, regulatory agencies, prosecutors, foreign authorities, and other agents. He is a frequent speaker in conferences and seminars in Brazil and abroad and has published several articles and books on regulation and antitrust. 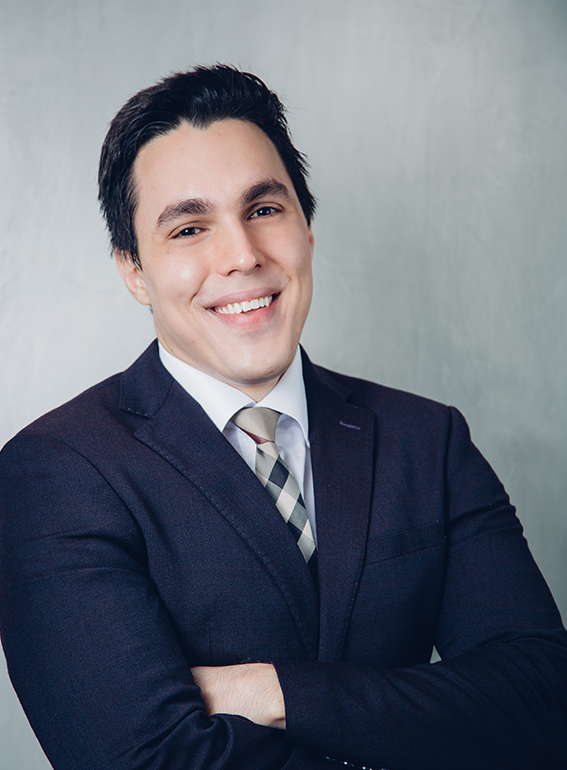 Eduardo holds a Master of Laws from the University of Brasilia and post-graduate degrees in Competition Policy from the Getúlio Vargas Foundation (FGV) and in Public Policy by the Brazilian National School of Public Administration. He holds bachelor degrees both in law (UniCEUB) and in international relations (University of Brasília) and took part in the George Washington University Advanced Seminar on Regulatory Policy. Eduardo is currently a guest professor at the FGV Law Program and was a visiting scholar at the Global Antitrust Institute of the Antonin Scalia Law School at George Mason University. "In March 2018, the firm added another big name in the Brazilian antitrust world, hiring former general superintendent Eduardo Frade, who has almost a decade at CADE under his belt and was instrumental in the competition authority’s 2012 restructuring." PhD and Master of Laws by the University of Sao Paulo, LL.M Harvard University, Visiting Scholar at Georgetown Law School, former advisor of the Office of the President at CADE and partner at VMCA. national and international mergers and acquisitions, and in the design and implementation of compliance programs. Ticiana also provides clients with preventive consultancy in competitive matters. Her clients include national and international companies from a wide range of sectors such as healthcare, infrastructure, logistics, and beverages. Prior to joining VMCA as a partner, Ticiana served as the head advisor of the Office of the President at CADE, when she actively participated in the analysis of dozens of complex merger cases, cartel and unilateral conducts investigations. During her tenure at CADE, she played a relevant role in the structuring of the new authority, especially in drafting and implementing some of the main regulations in place today, such as the resolution for merger filings in Brazil. Her previous experience also includes serving as an international advisor to the Secretariat of Economic Law at the Ministry of Justice, working as a competition law and economic regulation lawyer at Lefosse/Linklaters and being a Bluebook Trainee at the Directorate-General for Competition of the European Commission. Throughout her years as a public official, Ticiana interacted intensely with several government and private sectors, foreign authorities and other agents. As a corporate lawyer, her previous experience includes designing and implementing compliance programs and working on several international mergers. She is the author and co-author of several papers and book chapters on competition law and economic regulation. PhD, Master of Laws and a Bachelor of Laws from the University of Sao Paulo. Ticiana holds an LL.M degree from Harvard University. 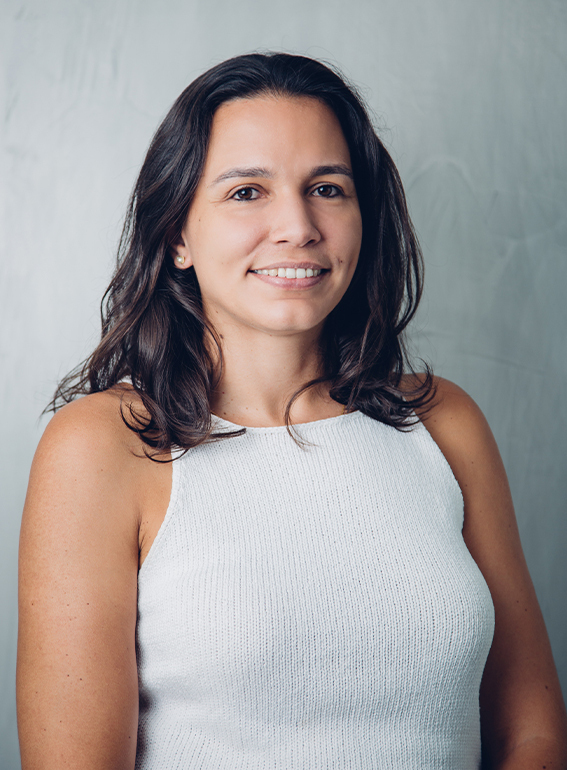 Ticiana was a Visiting Scholar at Georgetown Law School and has organized and participated as a speaker in several conferences and seminars in Brazil and abroad. Master of Laws Candidate at the University of Sao Paulo, Visiting Researcher at Yale Law School and former Chief of Staff at the Office of the President at CADE. Partner at VMCA. Responsável pela área de privacidade e proteção de dados no escritório, tem sua atuação focada em casos de adequação de políticas empresariais às legislações brasileira e internacional, realizando também interface com autoridades judiciais e administrativas sobre o tema. Tem participado de diversos debates sobre a constituição da nova política pública de proteção de dados brasileira face à recente aprovação da Lei Geral de Proteção de Dados (LGPD). Marcela practices in the areas of antitrust and data protection. In the antitrust practice her work involves negotiation of agreements and representation of clients before the Brazilian antitrust authority (CADE) in administrative proceedings and in merger and acquisitions. She also advises clients in risk assessing distribution agreements, analyzing governance and compliance structures, evaluating the competitive risks of commercial practices, among others. Marcela’s clients are from a variety of sectors, such as infrastructure, technology, and agribusiness. She is also the head of the firm’s data protection area. 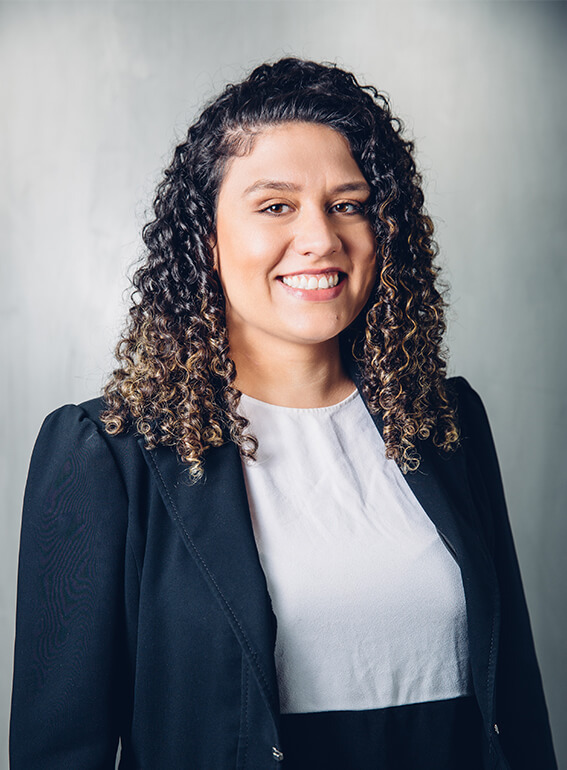 Her work focuses on adapting corporate policies to the Brazilian and international data legislation, and also representing clients before judicial and administrative authorities. Marcela has participated in several debates regarding the structuring of the new Brazilian data protection public policy, especially after the approval of the country’s General Data Protection Law (LGPD) in 2018. Former advisor and chief of staff for the Office of the President at CADE, Marcela assisted in the handling of cases at the Administrative Tribunal, in the organization and structuring of interventions of authorities at national and international events, and coordinating antitrust advocacy actions, with emphasis on the development of CADE’s Compliance Guidelines and the participation in the editorial coordination for the Journal of Competition Defense. On behalf of CADE, she also served as Commissioner at the Federal Council for the Fund for the Defense of Collective Rights and representative at the National Strategy for the Fight Against Corruption and Money-Laundering. .
Marcela has been authoring several articles regarding competition, regulation, and digital issues, and is also a frequent speaker at seminars in Brazil and abroad, such as the “Competition and Consumer Protection in the 21st Century” seminar, organized by the US Federal Trade Commission (FTC). Master of Laws and Bachelor of Laws at the University of São Paulo. Marcela completed the “The Constitution and Politics,” “Scientific Methodology,” and “Constitutional Law” courses offered by the Brazilian Society of Public Law and also participated in an academic exchange program with the University of Zurich, focusing her studies on European Economic Law. She was a visiting researcher at Yale Law School, completed the legal program from the School on Internet Governance from CGI.br and the CopyrightX course, offered by ITS Rio and Harvard University. 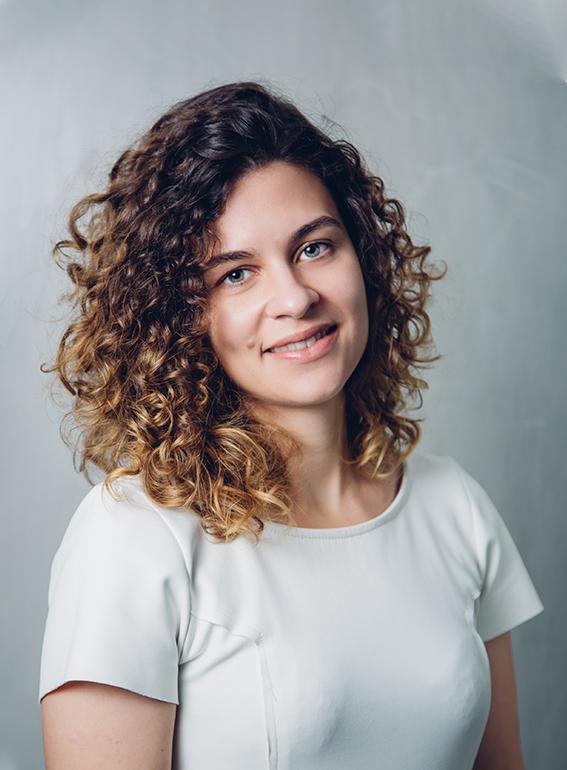 Marcela is a member of the research group on Constitutions, Politics, and Institutions from the University of São Paulo and coordinator of the Competition Law and Digital Economy Group, also at USP. Marcela coordinated and was also a professor at the “Data Protection” course organized by CEDES, a think tank focused on economic law and social issues. 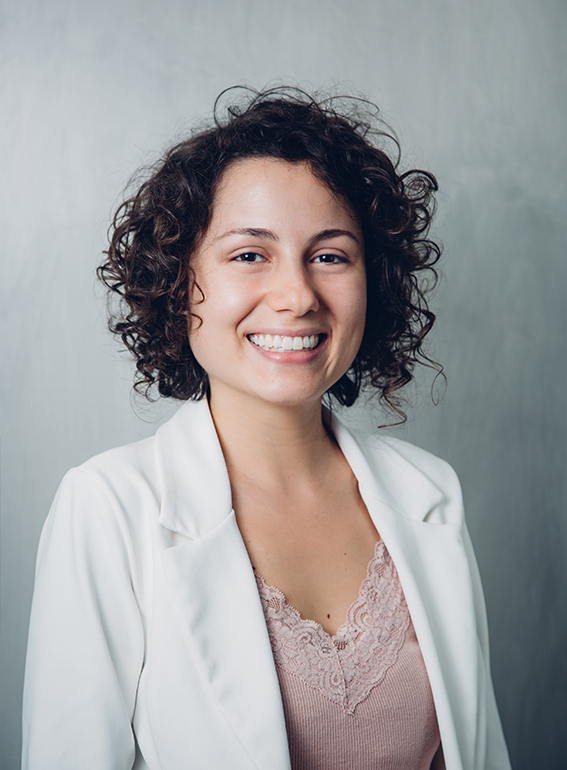 She was awarded the prize for best paper written by a graduate student by IBRAC-TIM in 2014 (“Online Advertising Platforms and Personal Data Retail: Consequences for Antitrust Law,” which was subsequently published by Competition Policy International). She has authored books and articles on antitrust, economic regulation, and digital markets. Bachelor of Economics. Bachelor of Law. Lawyer at VMCA. André served as Coordinator at the General-Superintendence of the Administrative Council for Economic Defense (“Cade”), where he directly and indirectly participated in the analysis and supervision of innumerous mergers and investigations. Prior to that, he was Analyst at the American Chamber of Commerce – Amcham Brasil, in Brasília, acting as leader of the Legislation Committee and responsible for the creation of the Legal Issues Discussion Group. He is now an associate at VMCA. André holds a post-graduate degree in Tax Law and Public Finance and also Bachelor degrees in Economics and in Law. During his undergraduate studies, André was teaching assistant for courses in General Economic History, Latin American Economics, Brazilian Economic History and Project Analysis. He also participated in the Student Program of the extinct Secretariat of Economic Monitoring – Seae of the Brazilian Ministry of Finance. He is authors of articles related to Competition Law. Bachelor of Laws at USP and associate at VMCA. Anna was formerly part of the Corporate and M&A practice at Ulhôa Canto Rezende e Guerra, and of the Antitrust Practice at Barbosa, Müssnich e Aragão – BMA. She was also a researcher at the Center of Law, Economics and Governance at FGV São Paulo Law School. Today, she is an associate at VMCA. Bachelor of Laws at the University of São Paulo. She was part of the Yale Law School Latin America Linkages Program, in 2016. Her work has been recognized at the IBRAC-TIM award for papers on Competition Defense in 2017 and 2016. In 2018, she was part ofthe Summer Training in German and European Law at Ludwig-Maximilians-Universität München. She was also a researcher at the Center of Law, Economics and Governance at FGV São Paulo Law School (2015-2016) and was part of the research team of the Study Group on the Relations between State and Private Companies. In 2014 she was Vice-President of Sanfran Jr., a student-run organization at USP Law School. She was part of several research groups at USP, including: Law and Poverty (2016), Critical Studies in Commercial Law (2016), Competition and Society (2017). She was editor at the Student Law Review at USP Law School (2017) and was a volunteer at the legal clinic DJ XI de Agosto (2015-2017). She was a teaching assistant in the classes of Corporate Law, Intellectual Property, Corporations, Legal Logic and Methodology, Regulation, Competition and the Market, and Foundations of Corporate Law, with a scholarship from the University of Sao Paulo. She was research assistant to Professors Amanda Athayde (UnB) and Bruno Salama (FGV-SP). She is the author of papers on Competition Law and Capital Markets. Bachelor of Laws at USP and at Université Jean-Moulin Lyon III. Associate at VMCA. Beatriz was lawyer on the litigation team of Lacaz Martins Pereira Neto Gurevich e Schoueri Advogados. Prior to that post, she worked in civil litigation, as both intern and lawyer at Perlman Vidigal e Godoy Advogados. As a professional, she has been involved on numerous cases concerning Public Law (Environment, oil and gas industries and consumer rights) and business law (corporate and contract disputes), as well as arbitration. She is currently an associate at VMCA. Bachelor of Laws from the University of Sao Paulo (USP) in 2015 and from the Université Jean-Moulin Lyon III, participating in the first class of PITES (Partenariat International Triangulaire d’Enseignement Supérieur), an international collaboration between the University of São Paulo, Université Jean Moulin Lyon 3, Lumière Lyon 2 and Jean Monnet Saint-Etienne. 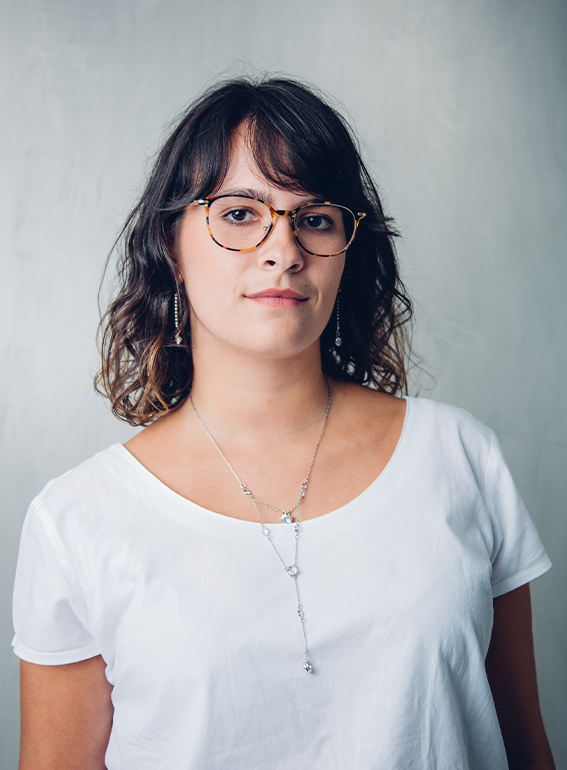 Beatriz was a teaching assistant at University of São Paulo (USP) for “Constitutional Law”, in 2013, as well as “Business Law”, in 2014 and 2015. She was also part of the Study Group on Methodology, Epistemology and Law, between 2014 and 2015, at the University of São Paulo, and participated in the preparatory course for conciliators and mediators of the Instituto dos Advogados de São Paulo in 2017. Bachelor of Laws and Doctor in Economic law (2012) at the University of São Paulo, Master in Public Administration at the Harvard Kennedy School (2018) and Visiting Scholar at Columbia Law School (2011 e 2016-2017). Associate at VMCA. 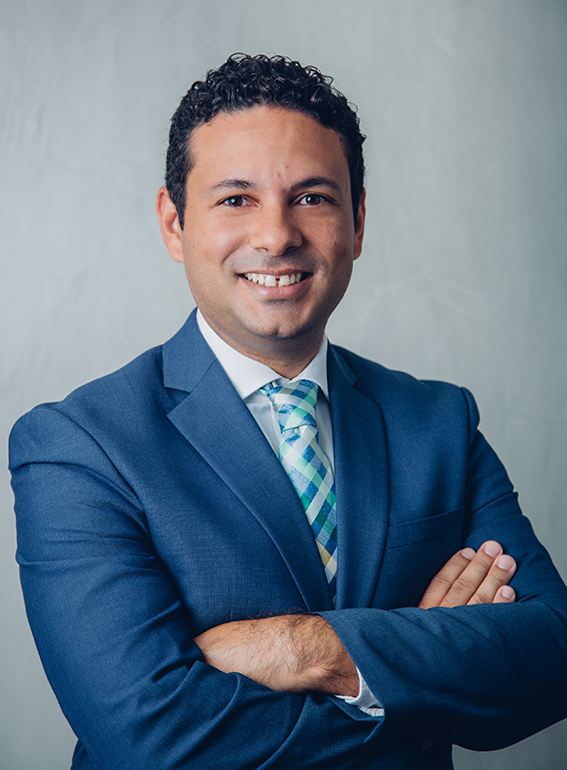 Diogo has 12 years of experience working in the public administration, in all both the legislative and executive branches, and in the three spheres of government (local, state and federal). Between 2008 and 2015, Diogo held several leadership positions within the Presidency of the Republic of Brazil. He played a leading role in the revision of the Regulatory Framework of Civil Society Organizations (Law 13,019 of 2014 and revision of the regulation and certification of philanthropic entities), in the elaboration and implementation of sustainable development policies, and in the drafting of the Brazilian positioning on the Sustainable Development Objectives (ODS). Throughout his career in the Presidency, he also acted in the implementation of the social and environmental conditioning of infrastructure projects and in the monitoring of regulated sectors. He is currently an associate at VMCA. Bachelor of Laws and Doctor in Economic Law (2012) by the University of São Paulo, Master in Public Administration at Harvard Kennedy School (2018, Jorge Paulo Lemann Fellow), and Visiting Scholar at Columbia Law School in 2011, Ryochi Sasakawa Sylff Fellow, and in 2016-2017. Diogo has participated as a lecturer in conferences and seminars, especially focusing on the revision of the Regulatory Framework of Civil Society Organizations and the implementation of Sustainable Development Policies, such as the National Agroecology Plan and programs for solid waste recycling. He is the author of the book “Food Law and Sovereignty: The Fertilizer Case” (Quartier Latin, 2014) and of articles on public policy and regulation. He was also a lecturer in the specialization courses focused on Economic Law at Fundação Getúlio Vargas (2010 – 2014). Masters in Political Science Candidate and Bachelor of Laws at USP. Associate at VMCA. 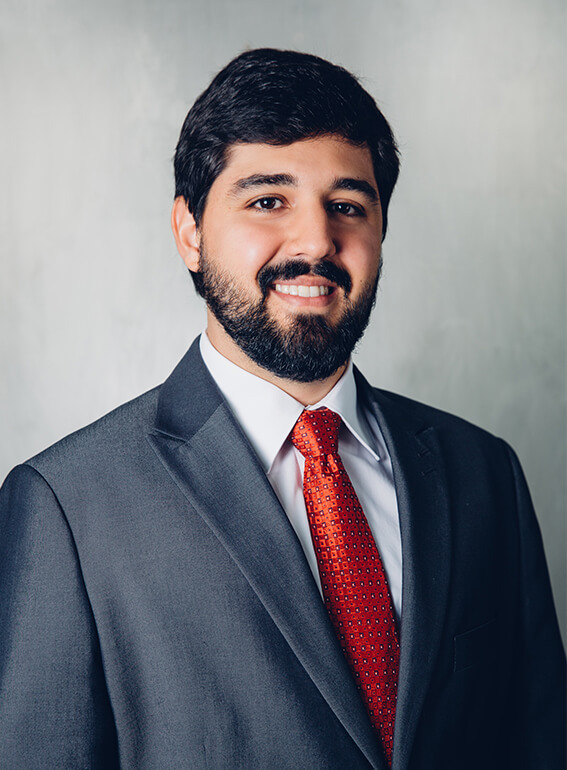 Felipe served as an intern at Pereira | Neto Macedo Advogados, with an emphasis on Public Law and Regulation, where he gained experience in bidding process, public service contracts and interaction with regulatory agencies. He was also an intern in the House and Urban Development Department of the Office of Public Defenders. He began as an intern at VMCA and is currently an associate. Felipe is a Master’s Candidate in Political Science at the University of São Paulo and holds a Bachelor of Laws from the same university (2017). During law school, he was a Researcher of Legal Sociology of PET SeSu/MEC, and held a scholarship from the Brazilian’s Education Ministry (2014-2016). Teaching Assistant in Legal Sociology and in Sociology at USP’s law school. His coursework focused especially on the relation between law and institutions. His current fields of academic interests are political theory and political philosophy. Master of Laws Candidate at USP and associate at VMCA. 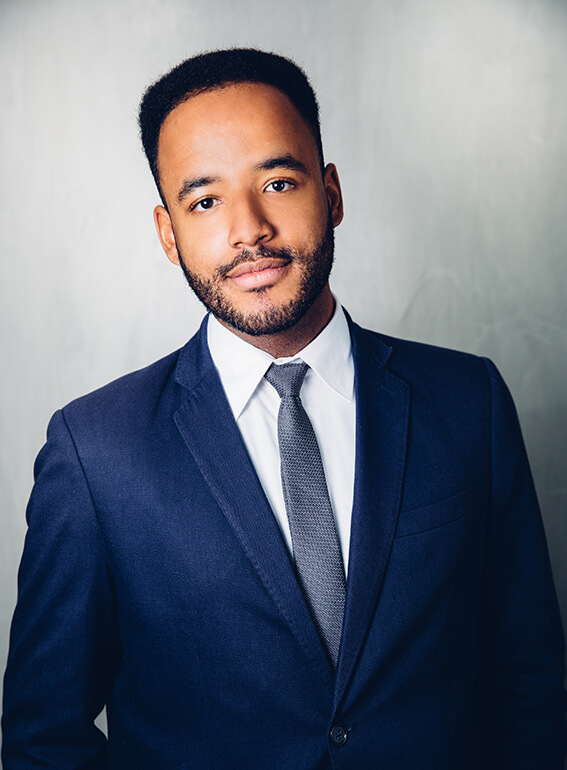 Frederico formerly worked as an intern at ETAD, an Office specialized on Insurance Law and Civil Responsibility (2013-2014)and as an independent lawyer focusing on contract law, civil responsibility, consumer law and administrative improbity (2015-2016). He has been an associate of VMCA since 2017. Master of Laws Candidate at the University of São Paulo (USP), from where he also holds a Bachelor degree in Law. In 2011, he concluded the Public Training School Program of the Brazilian Society of Public Law (SBDP), where he Law? Administration? participated in the Public Law Course 2017 – organized in partnership with the School of Law at Fundação Getúlio Vargas in São Paulo (FGV-SP). In 2017, he took part in the Education Improvement Teaching Internship on the Theory of the Brazilian State at USP. Frederico is currently a member of the Public Research Group at the School of Law at FGV-SP, in partnership with the SBDP. He was assistant professor at USP (2015-2017) for Professor Maria Paula Dallari’s courses on General Theory of State (I and II) and Theory of Brazilian State (I and II). In 2017, he was Tutor of the Public Training School Program of the SBDP in partnership with the School of Law at FGV-SP and participated on the board that evaluated students research papers. At the Fifth Seminary of Public Law organized by São Paulo State University (UNESP) in 2017, he presented an article on the urban question which was approved for publication in a volume of the seminary proceedings. He is author of a monograph on the Brazilian Supreme Court’s treatment of tax immunity that was published by SBDP (2011) and of articles on economic regulation. In 2015, Gabriela interned at the State of São Paulo Public Defender’s Office in the Consumer Affairs’ Division. In 2016, she interned at the São Paulo City Department of Education, where she helped implement administrative reforms in government offices. She was also an intern at VMCA in 2017, and is now an associate. Bachelor of Laws at the University of São Paulo. Gabriela was awarded the “2017 top-three undergraduate monographies” prize by the Brazilian Institute for Studies on Competition, Consumer Affairs and International Trade (IBRAC). In 2016, she was granted a scholarship from the University of São Paulo to attend the New University of Lisbon as part of an academic exchange. From 2013 to 2015, she was a researcher of the Program for Tutorial Education at USP with a scholarship from the Ministry of Education. During this time, she presented a research paper written under the supervision of Professor Emerson Ribeiro Fabiani (FGV Law School) at the 5th Empirical Legal Research Network Conference. During her undergraduate studies, Gabriela was a teaching assistant for courses in Public Finance Law, Logic and Legal Methodology and Legal Sociology. Bachelor of Laws at the University of São Paulo and associate at VMCA. 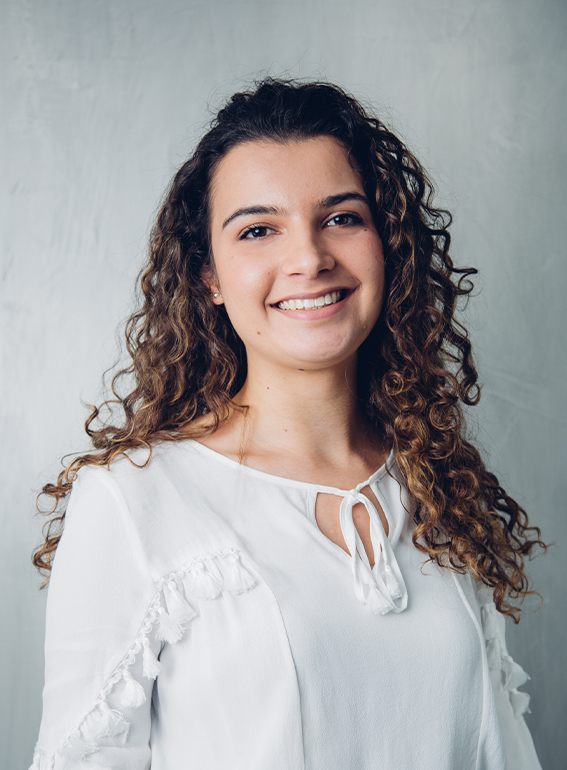 Paula interned at Opice Blum Bruno Abrusio Vainzof Advogados Associados, a law firm specialized in digital law where she worked on e-commerce, privacy and data protection, media and intellectual property before joining VMCA as an intern in 2017 and is currently an associate. PhD Candidate at the University of São Paulo, from where she holds her Bachelor degrees in law. During her graduation, Paula held a scholarship at PET – Sociology of Law related to the Ministry of Education’s Department of Higher Education (SESU) in conjunction with the Department of Philosophy and General Theory of Law of the University of São Paulo. Paula took part in the activities of the Research Nucleus on Studies in Competition and Society at USP (NECSO), the Law, Internet and Society Research Group from University of São Paulo (NDIS), the Interinstitutional Research Group on Philosophy and Theory of Law (Gifited) and was a volunteer at the legal clinic DJ XI de Agosto. She served as teacher assistant for courses on Sociology of Law, Regulation, Competition and Market, Intellectual Property and Access to Knowledge and Logic and Legal Methodology. As a member of PET, her research focused on sociology of law. 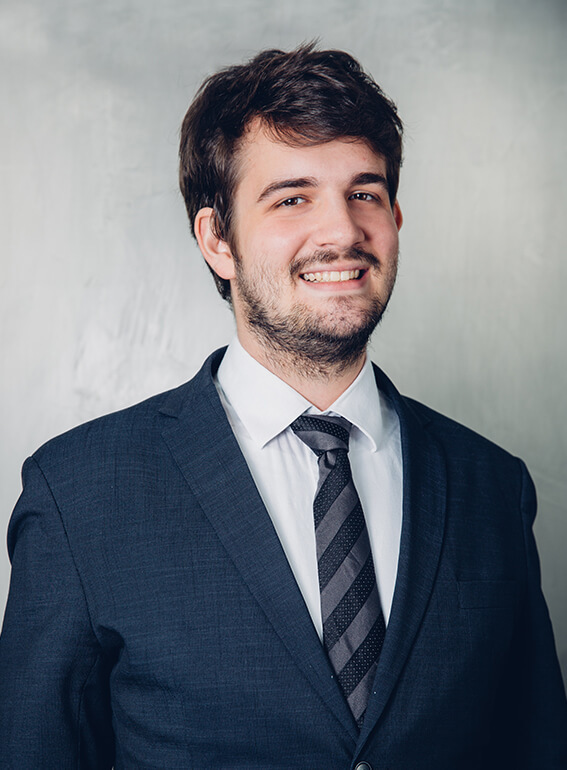 From 2014 to 2017, Vitor formed part of the Competition Law practice team at Barbosa, Müssnich e Aragão (BMA) Advogados. Previously, he worked in civil litigation, contract law and media, sports and entertainment law. As a lawyer, he has worked on numerous international and national merger cases and several cartel and unilateral conducts investigations. Vitor also has experience designing and implementing compliance programs. He is an associate at VMCA. Bachelor of Laws from the University of Sao Paulo (USP). He was recognized in 2015 with an award for one of the “top-two undergraduate monographies” from the Brazilian Institute for Studies on Competition, Consumer Affairs and International Trade (IBRAC). He graduated with a degree in Public Administration from Fundação Getúlio Vargas (FGV) in 2010. Teaching assistant at University of São Paulo (USP) in 2015 of the following subjects and Professors: “Regulation, Competition and Market”, (Prof. Vinicius Marques de Carvalho), and “Public Companies and Capital Market”, (Prof. Sheila Neder Cerezetti). He was part of the Study Group on International Capital Market Law (DIMEC) at USP. He was a special student at USP in the subject “Competition Policy: Themes and Contemporary Discussions” (Prof. Roberto Pfeiffer), in 2016. He is an author of articles in the area of competition law. Bachelor of Laws Candidate at the University of São Paulo and intern at VMCA. 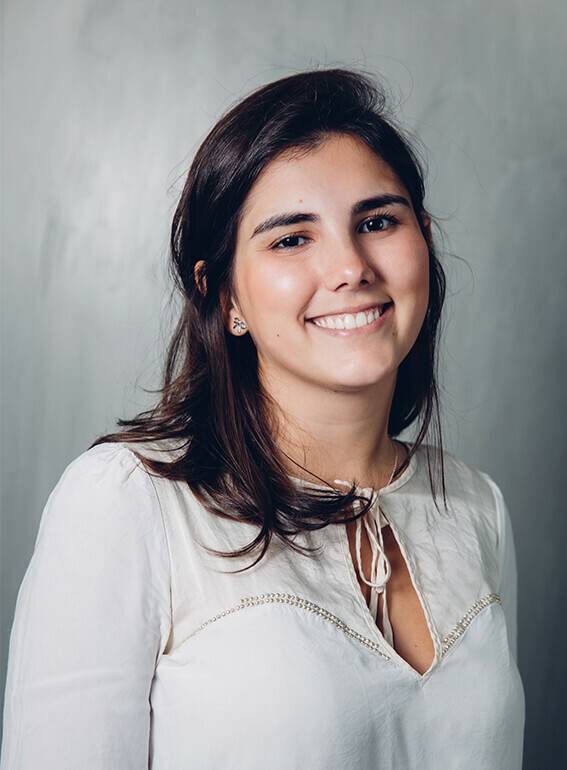 Before joining VMCA, Laura interned at Finep (Study and Projects Financing Institution), at the Legal Department of Law and Innovation and at the São Paulo’s Municipal Chamber, where she worked as a parliamentary legal advisor, mainly assisting in the drafting and processing of bills. She is currently an intern at VMCA. Undergraduate law student at the University of São Paulo (expected to be completed in 2020). She is the president of the XI of August Student Center, entity of which she was treasurer in 2017, besides being a Student Representative at the Law School of the University of São Paulo’s Congregation. She attended the course “Dialogues on Public Governance”, oriented by Prof. Marcos Augusto Perez, and the course “Theory of the Brazilian State”, oriented by Prof. Maria Paula Dallari Bucci. She also took the “Law and Development” course offered by the Public Leadership Center (CLP) under the guidance of Professor Carlos Ari Sundfeld. 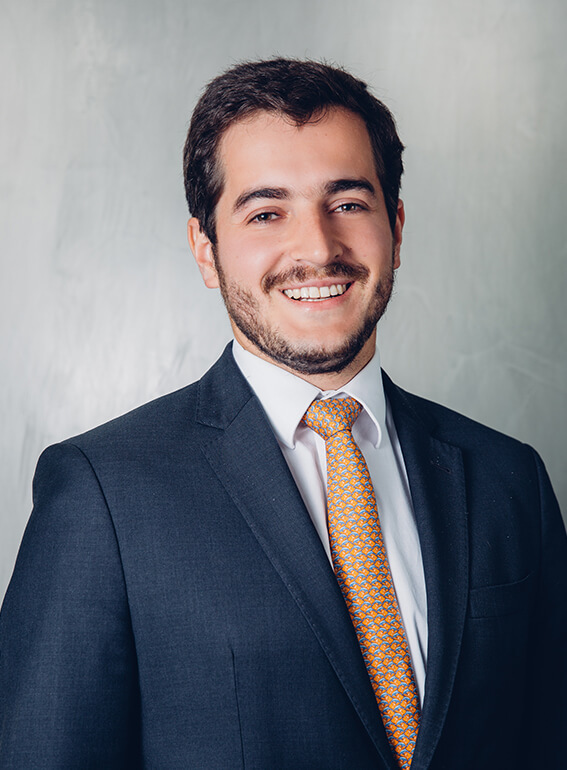 Matheus interned at Advocacia José Del Chiaro, a law firm specialized in antitrust and regulatory law where he worked on merger proceedings, administrative proceedings and negotiation of agreements at Cade. He is currently an intern at VMCA. Undergraduate law student at the University of São Paulo (expected completion in 2020). He held a technical education degree in legal services through a project coordinated by Etec São Paulo. Currently, he conducts a scientific initiation research in conjunction with the Department of Commercial Law of the University of São Paulo, oriented by Professor Vinicius Marques de Carvalho, with the theme “The judgment of convenience and opportunity of the Administrative Council for Economic Defense – Cade in the celebration of Cease and Decease Agreements”. He is a student at the course of Competition Law and Digital Economy, organized by the Brazilian Institute for Consumer Defense. He took part in the activities of SanFran Social, an academic group focused on Third Sector studies. Bachelor of Laws Candidate at the Faculdade de Direito de São Bernardo do Campo (FDSBC) and intern at VMCA. Rebeca served as a teacher assistant at the Escola de Formação Pública (EFp) promoted by Sociedade Brasileira de Direito Público (SBDP), where she gained experience on​​ empirical research, constitutional jurisdiction and people management. She also interned at Federal Court of São Bernardo do Campo, where she acquired knowledge about tax execution procedures and notary’s office operations. She is currently an intern at VMCA. Undergraduate law student at the Faculty of Law of São Bernardo do Campo (FDSBC) (expected completion in 2020). 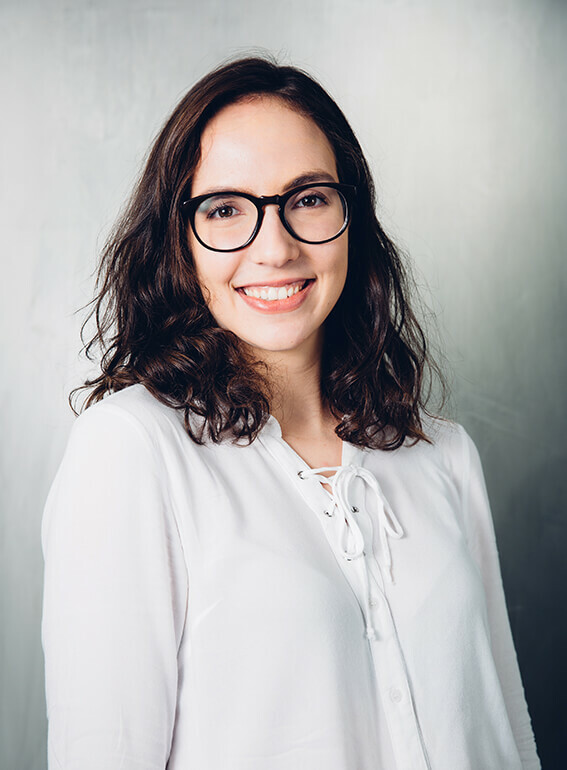 Rebeca was a student at the Escola de Formação Pública (EFp) promoted annually by the Sociedade Brasileira de Direito Público (SBDP), where she conducted empirical research to study the control of the Brazilian audit courts on the education expenditures (2017). She also was part of a scientific initiation program at the Department of Public Law of the Faculty of Law of São Bernardo do Campo, oriented by Professor Priscilia Sparapani, with the theme “estate responsibility at the public policy implementation” (2016). She is one of the coordinators of the bible study group at FDSBC and composed the local board of the Aliança Bíblica Universitária on ABC (2016-2018).